Hello Frndzzz.... www.dealsnloot.com Back With New Aircel Good Morning Offer. Aircel Good Morning offer. Aircel Good Morning Pack offer, In which you will get Unlimited Free Calling for Rs 1 only. Enjoy Aircel to Aircel unlimited free calling between 6 A.M to 8 A.M at just Re 1 daily. Just follow below steps to Avail Aircel Morning Loot Offer. 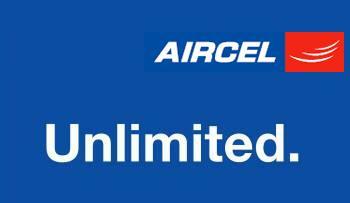 Aircel Unlimited Free Calling Offer, Now Activate Aircel to Aircel Unlimited Free Calling at Just Rs 1. Simply Dial USSD Code *121*6290# from your Aircel mobile number. If your state is eligible for this offer, Rs.1 will be deducted from your main account balance and offer will be activated. Enjoy the deal! You will receive an confirmation SMS also for this offer – Make Unlimited Aircel to Aircel calls between 6 Am to 8 Am (Re.1 will be deducted daily – So if you want to stop this plan call 198).